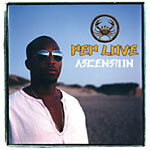 Pep Love finally blesses us with his debut album, almost 8 years in the making. Guest spots from Tajai & Casual. A very solid album that will surely anticipate the Prose album. Production: 1, 12 by Jay-Biz, 2, 3, 5, 7, 13, 14, 17 by A-Plus, 4 by Evidence, 6 by Bicasso, 8 & 10 by Mako, 9 by Toure, 11, 16 by Domino, 15 by Casual. Cuts: 3, 7, 9, 16 by DJ Lex, 4 by Babu, 5, 11 by Jay-Biz, 17 by DJ Lex & Jay-Biz. This album is fresh from beginning to end. Dope beats, fresh rhymes = one tight product. Hieroglyphics crew and ya don't stop!